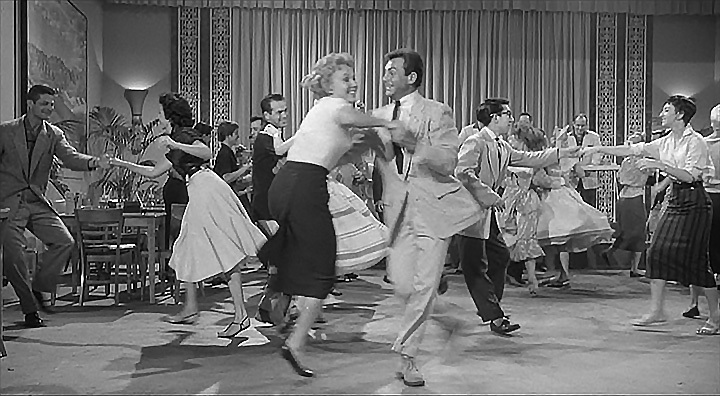 Rock'n'Roll (also known as Boogie Woogie across Europe) is a stylized and more advanced version of East-Coast Swing that's perfect for dancing to Rock'n'Roll music, plus any style of music with a swinging boogie beat, including Jump Blues, Rockabilly, Jive, and Boogie Woogie music. Swing Time's Rock'n'Roll dance classes are designed for everyone, from novices who've never danced before, to experienced dancers who've been dancing several years. There are no prerequisites, so anyone can drop in and take them. All classes stand on their own; you need not take one to take any of the others; but the more you take, the better your dancing will be! No partner is needed.